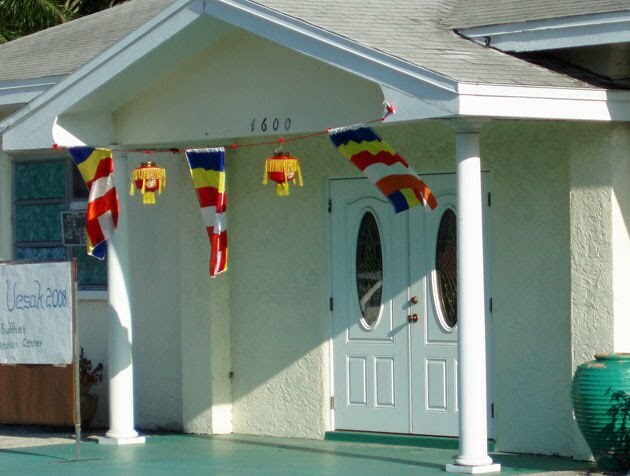 The Chinese Community Church supports Buddhist, Taoist, Traditional Chinese, Interfaith and other Chinese-American Community Activities such as the Middle Way Buddhist Association, the Tao Gathering, and the Clearwater Chinese School. We also serve the larger community, and particularly minorities, as well all who want to learn about Chinese philosophy and culture and provide a once a week place of friendship and good guidance for our children as they grow up. Buddhist and and Traditional "Confucian" philosophy does not deny any other faith or religion, is not mutually exclusive but inclusive. It can benefit to everyone in terms of learning meditation for inner calmness, overcoming anger and frustration, and leading a more peaceful life. Most members also participate in other local churches or temples. While the Chinese School is not religious, and students are of many faiths, we all share a common set of moral values embedded in Chinese culture and the encouragement of a love of learning and the arts. The Chinese Community Church provides the premises for the Clearwater Chinese School without rent, thereby helping to subsidize the cost of this education. The Chinese Community Church helps to support the Teaching of Chinese Culture and Values to the next generation of Chinese and American Young people, including orphans adopted from China. We have students from all ethnic and racial backgrounds in St. Petersburg, Florida. If you would like to join the Chinese Community Church mailing list please send an email to chinesecommunitychurch.org@gmail.com. Include your name, address, phone number and interests. If you wish to donate to our building fund please visit http://mychinese.org/donate.html. The Chinese Community Church Corp. is a 503 (c) (3) nonprofit organization that does not discriminate on any basis in its activities, programs, hiring, schoalrships etc. All are welcome! Location: 4600 78th Ave., N., Pinellas Park, FL 33781 (this is on the south side of 78th Ave., N., just east of 49th Street in Pinellas Park). For for information about the Chinese Community Church or to schedule events and special occasion, contact Tom Lacey, Ph.D., Church Secretary (727-455-1056). Please donate here to our Building Fund! Playing Foosball and Table Tennis is a fun activity in Chinese School. Chinese students at Chinese New Year Celebration. Please visit on Sunday Afternoon 1:30- 4:30 PM and see our Chinese School. Volunteers welcome!